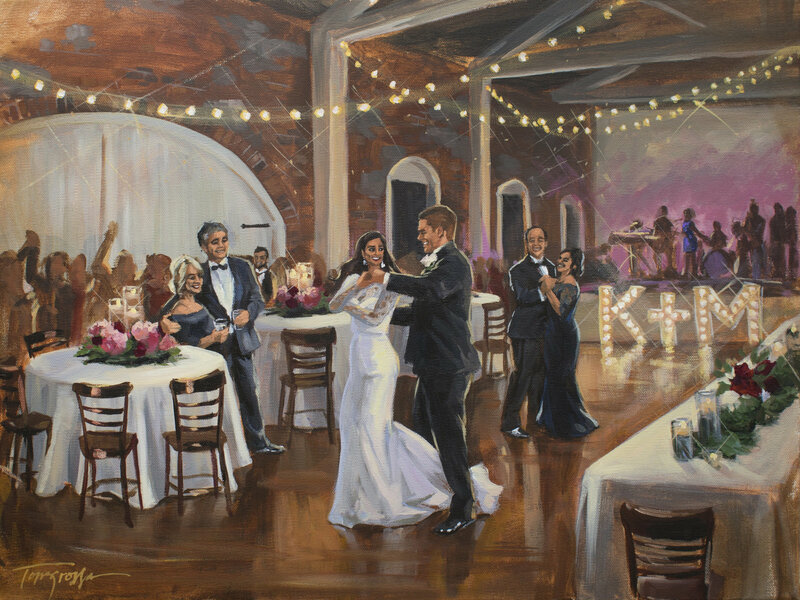 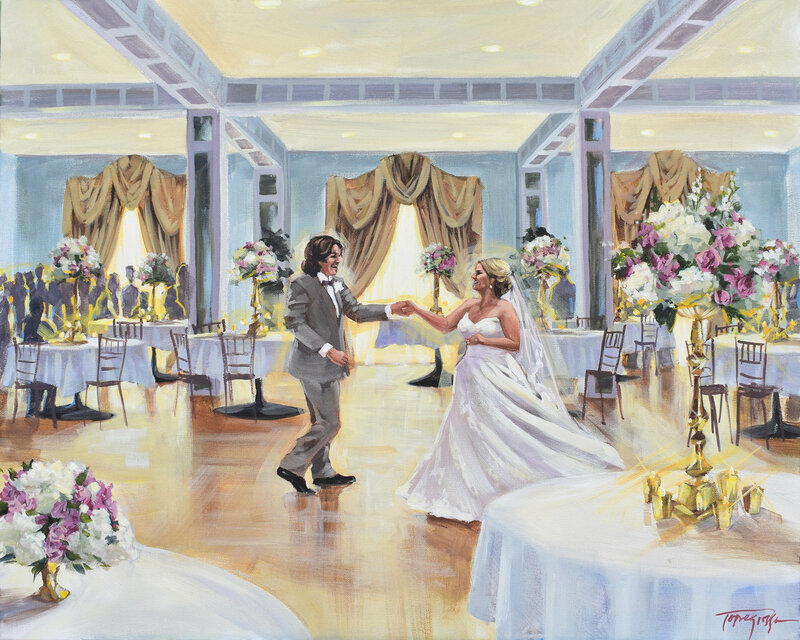 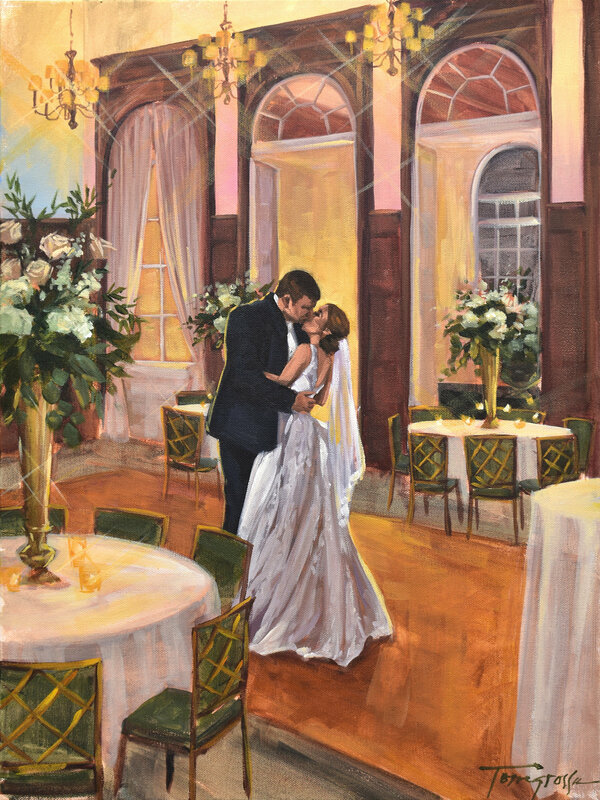 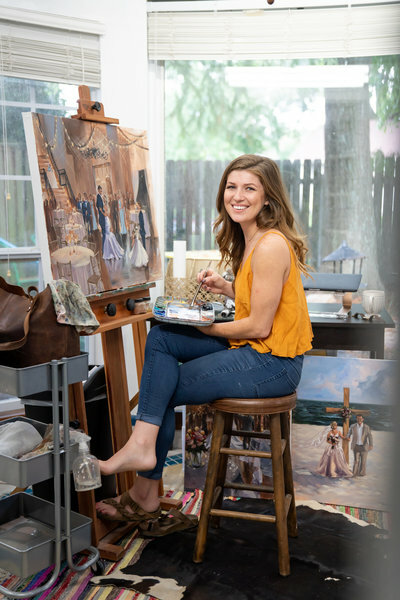 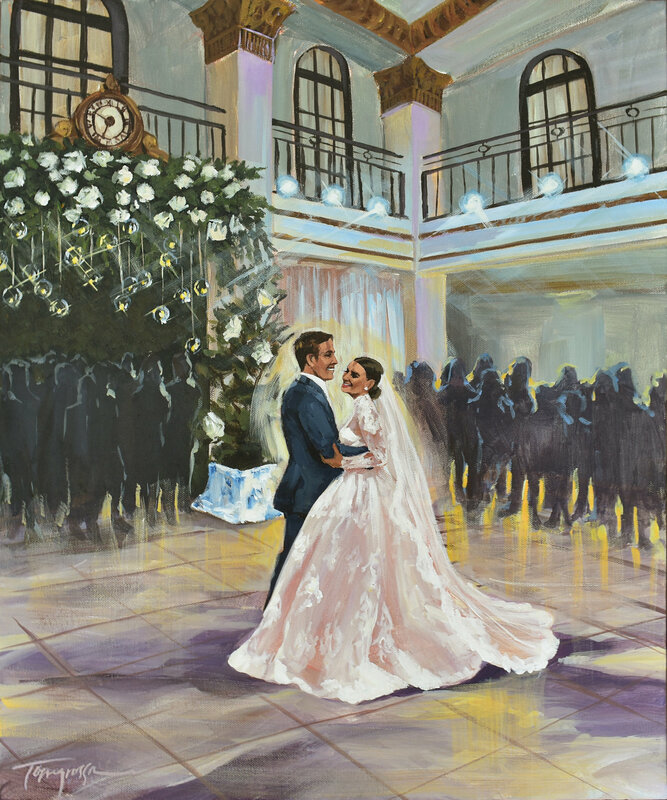 Stephanie Torregrossa has a unique skill that allows her to capture the magic of the night in a realistic style, taking the time to sculpt the architecture of the venue, and taking note of even the smallest details. 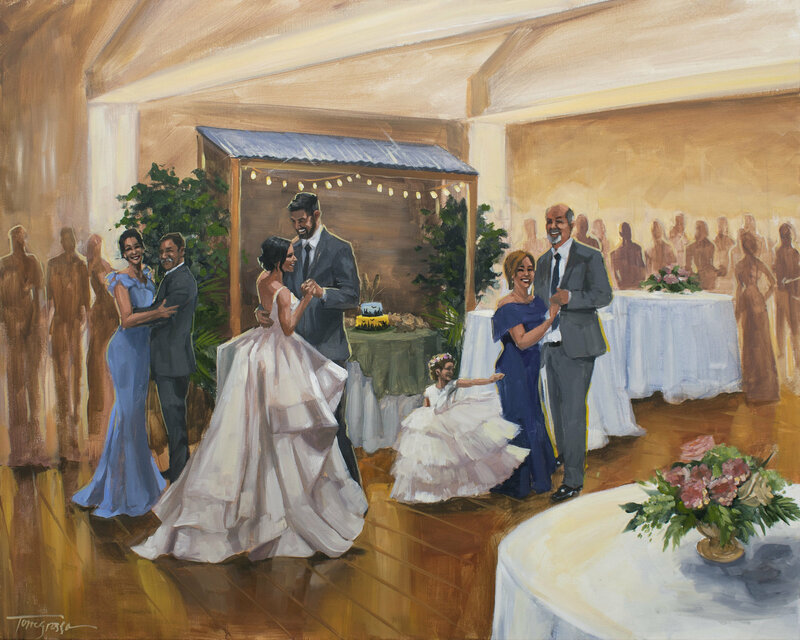 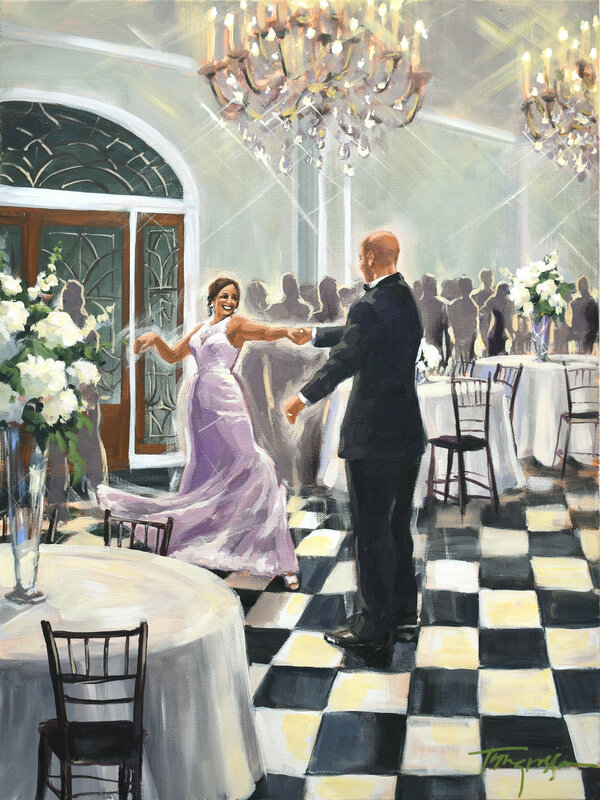 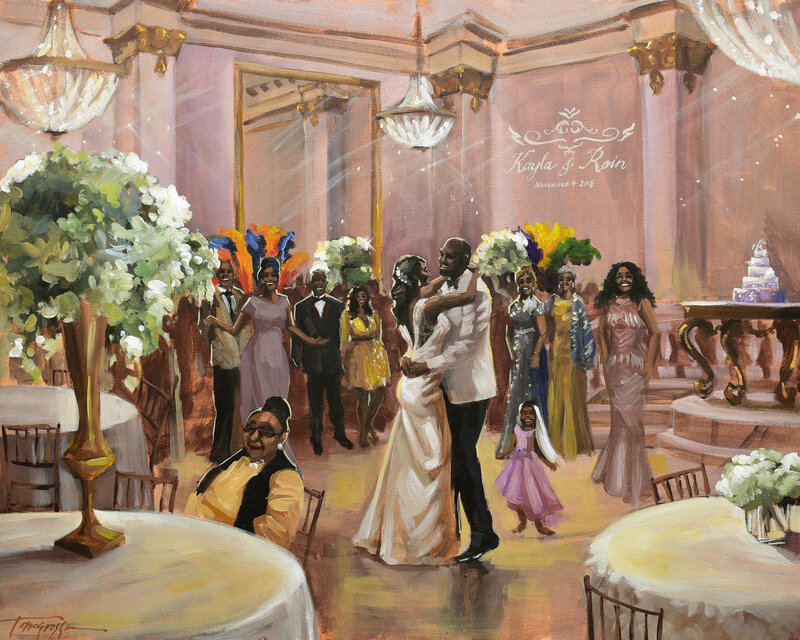 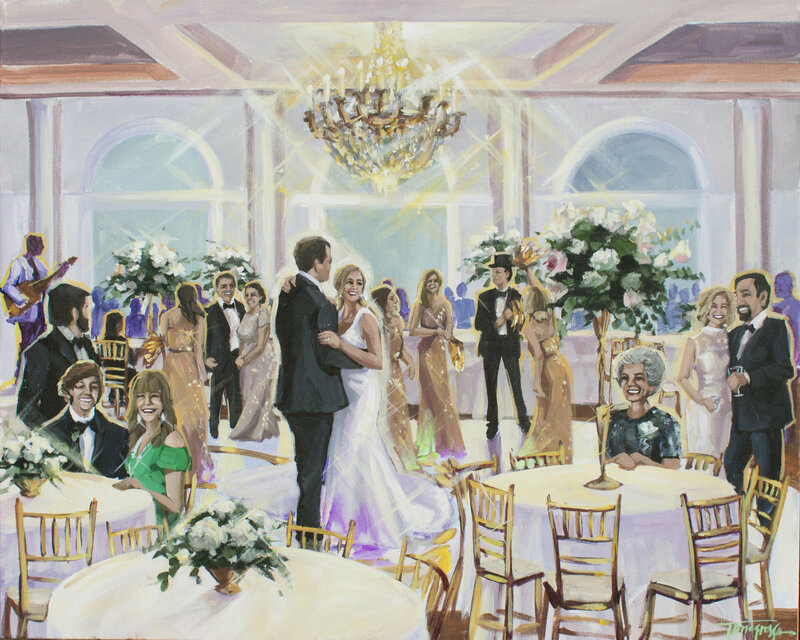 As you and your guests dance the night away, the painting comes to life with another layer of dimension added every hour. 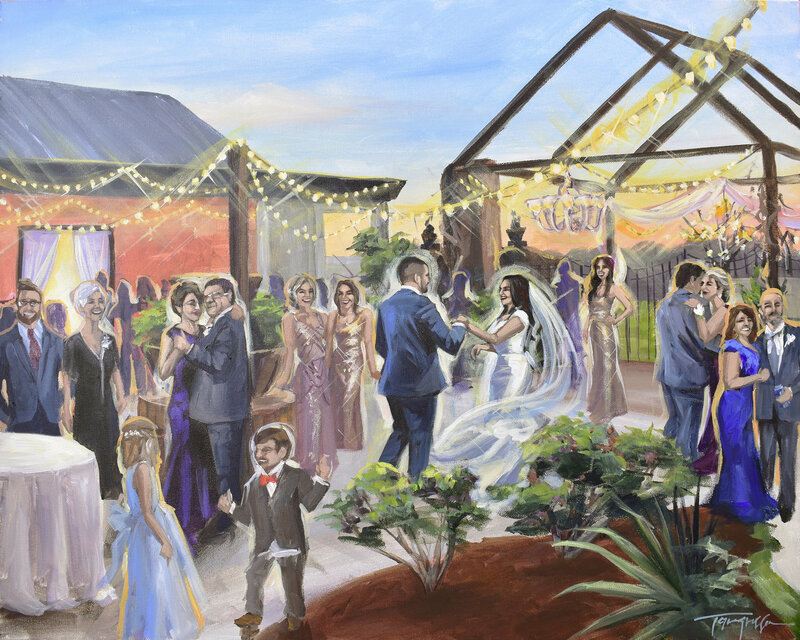 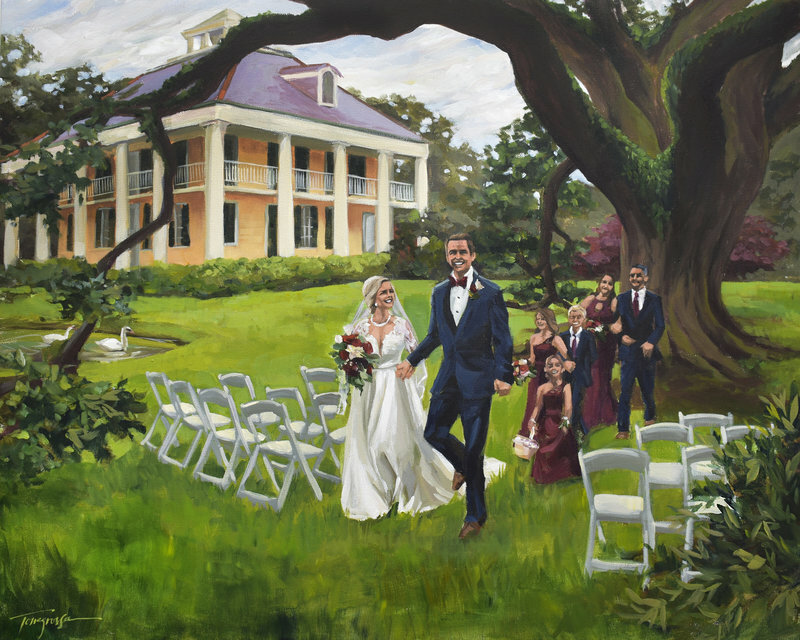 Your guests will remember the delicious food, talk about the beautiful centerpieces, and reminisce on the ceremony; but nothing will last as long as the magical energy of the evening, captured in fine art form. 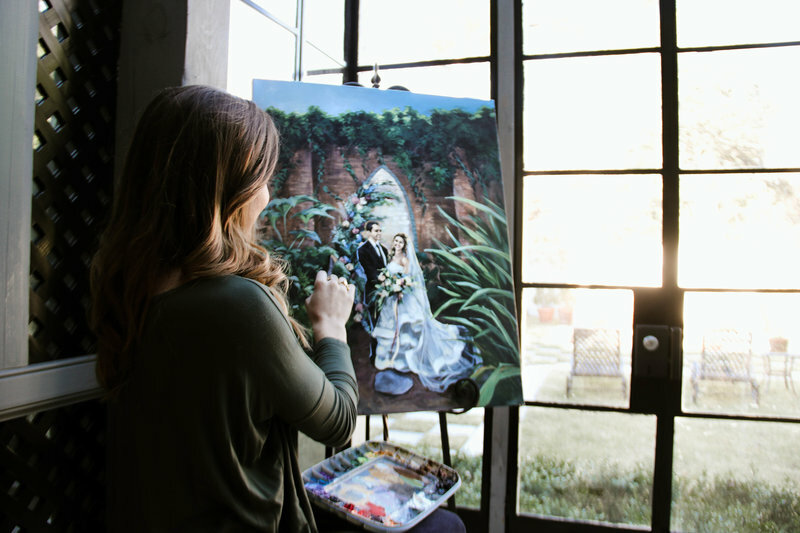 Stephanie brings your vision to life - the vision that you spend months, maybe even years creating. 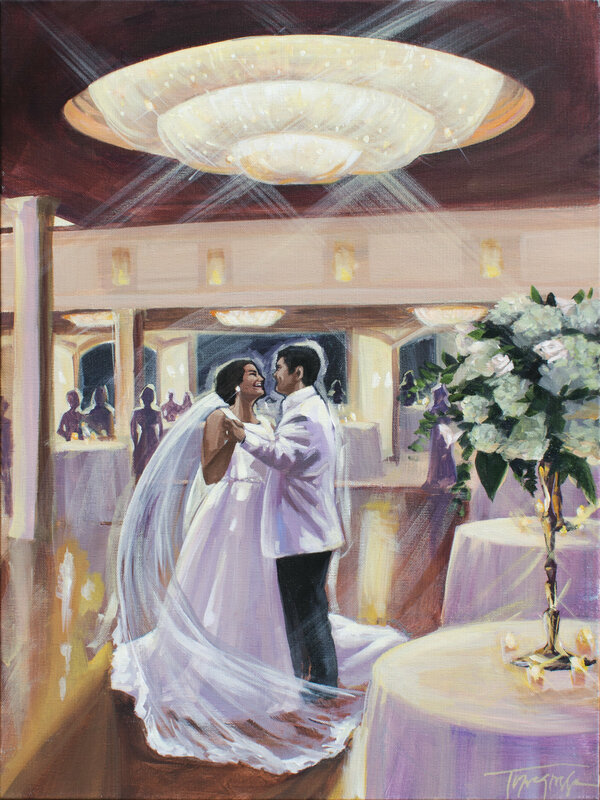 Your wedding will pass in the blink of an eye. 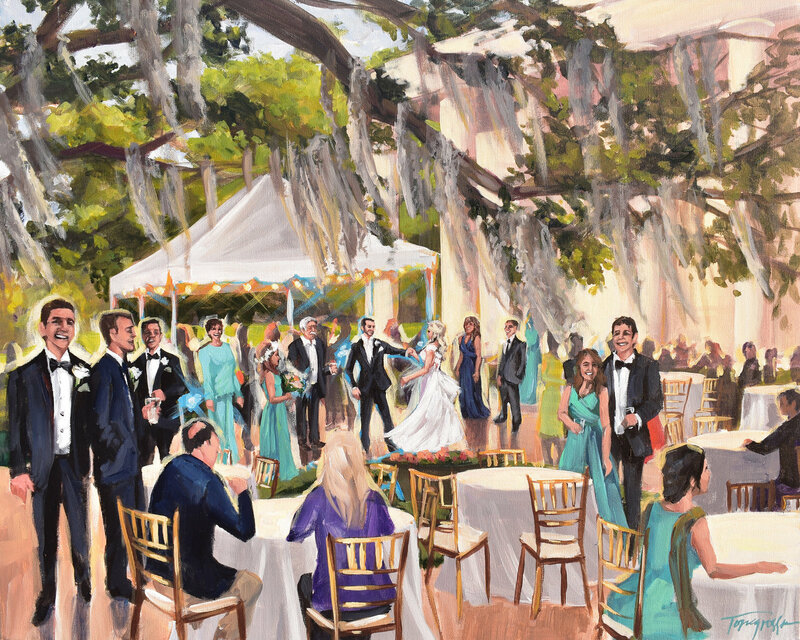 Preserve your memory on canvas with Torregrossa Fine Art. 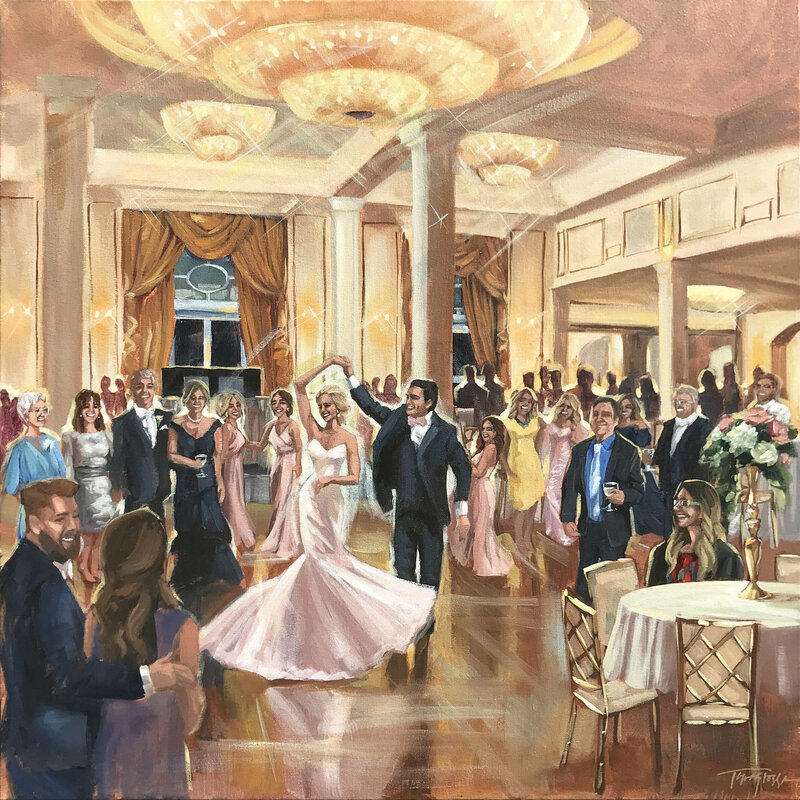 CAPTURE A FLEETING MOMENT IN A BEAUTIFUL AND ENTERTAINING ART FORM THAT DATES BACK TO THE RENAISSANCE - A LIVE WEDDING PAINTING. 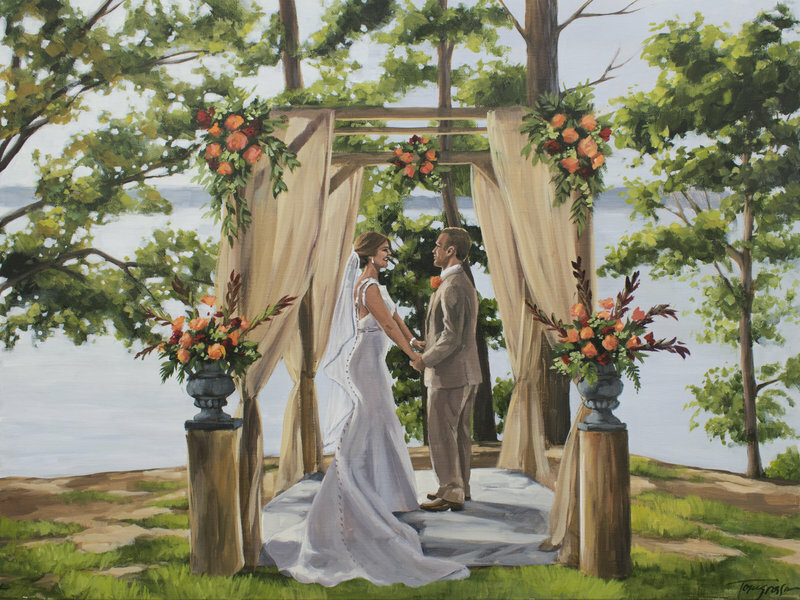 And yes, your original painting will be completed for all to see as your make your grand exit! 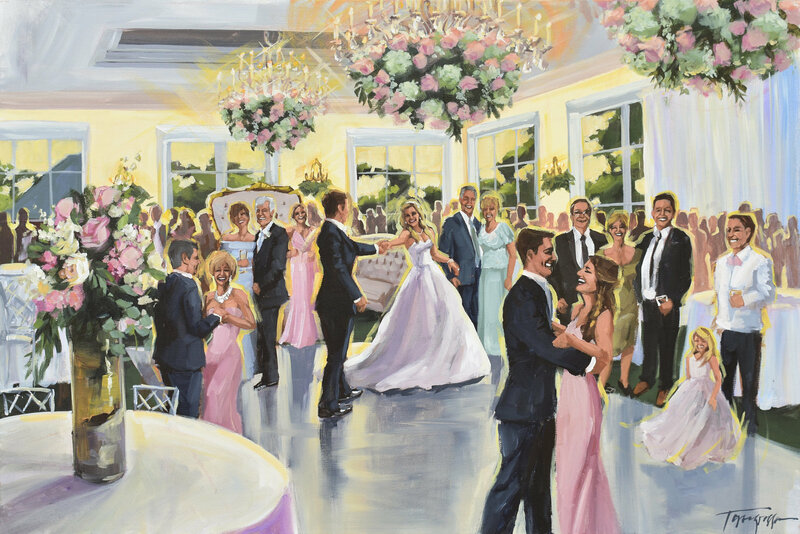 If you checked yes to all of those, then we should totally work together!